I've decided to branch out a bit and do a new segment on the blog called "Bits of (insert month here)." I used to do an occasional monthly favorites post, but they never really worked out as I tend to use the same products over and over again. I mean, who wants to limit themselves and their content? I think these "Bits of..." monthly posts will be a nice way of share my thirty-odd days in review with all of you. I hope you enjoy them! February was an exciting month. A lot happened in just 28 days, from my birthday to a blogger network and a very special book signing. Here are the Bits of February. I joined the Her Campus Blogger Network! I am so excited to be a part of the Her Campus Blogger Network! 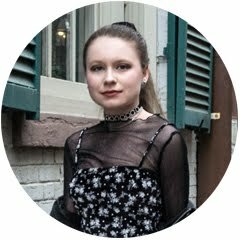 I write for my college's chapter of Her Campus and when I found out there was a personal blogger program I was thrilled. We're a community of female bloggers of all ages who write about anything from fashion and beauty to lifestyle, cooking, and health. We help each other grow our blogs and be as successful as possible. It's a lot of fun and if you're a blogger, you should join too! Apply here for your chance to be part of an amazing network of amazing women. (If you could mention my name in the Referral section, that would be fab!) If you have any further questions, I'd be happy to answer them in the comments below. You may know Nigel as photographer and judge on America's Next Top Model and judge on The Face, but did you know he's a New York Time's bestselling author as well? I met him at his book signing in Boston for Model's of Influence: 50 Women Who Reset the Course of Fashion. His talk was fantastic and I am so glad I was able to attend. I love how he talked about what made the models in his book unique, strong women. He didn’t focus on beauty—he focused on what made them powerful. If you ever have the chance to hear him speak, I highly suggest you go! I can't wait to read his book. Now I am inspired to collect more fashion reads for my coffee table collection! Me and my blog were featured in the lifestyle section of my college's newspaper, The Berkely Beacon. 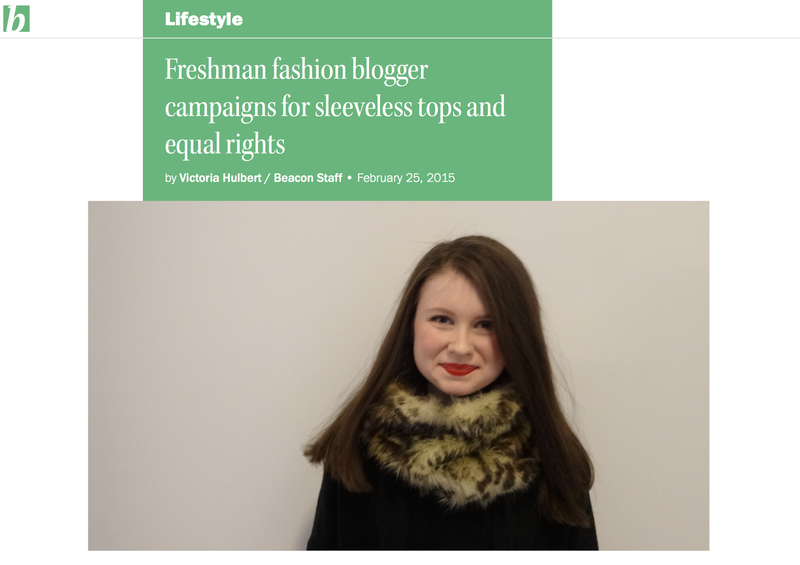 The article is about how I challenged my high school's dress code my junior year when they prohibited sleeveless attire, and also touches on Bits of Style and my love of fashion and feminism. It was an honor to be in the paper and share my story. You can read the piece here. I hope you all had a fabulous February and are having a marvelous March! Stay stylin'!